Just because it is midweek doesn’t mean that there is no fun. 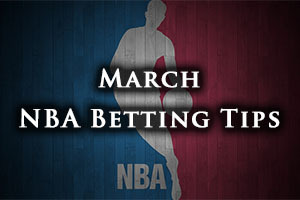 There are plenty of games in the NBA on Tuesday to keep you interested but there were a few games on Monday night too, which we will go over. The Raptors picked up a win in Philadelphia, defeating the Raptors by a score of 103-114. The Nets held on at home, defeating the Warriors by a score of 110-108 in Brooklyn while the Mavericks were also winners at home, defeating the Pelicans by a score of 102-93. The Heat were convincing at home against the Suns, winning by 115-98 and the Timberwolves were disposed of by the Clippers, with the team from Los Angeles winning by 105-110 in Minnesota. After two defeats, the Cavaliers will be looking to get back on track and this is the perfect chance for LeBron James to shine. He sat out the Friday night loss but his return on Sunday couldn’t prevent the Cleveland side falling to an OT loss in Houston. James still managed 37 points in that game but he will be the first to admit that it was far from his best performance of the season. If James is back up to speed for this game, the Celtics may find that they are facing a difficult challenge. The Celtics have been in better form of late, even though they lost their most recent game on Sunday to the Warriors, 101-106 at home. Overall, the Celtics have a 23-34 record, which includes a 9-18 record away from home and a 6-4 record in their last 10 games. 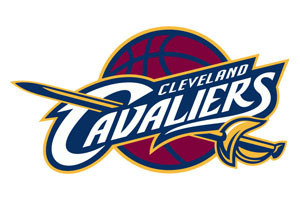 They face a Cavaliers side that has a 37-24 record which includes a 22-9 record in Cleveland. The Cavs have lost in their last two outings and they also hold a 6-4 record in their 10 most recent games. For average points scored, the Cavaliers have a 102.4 record compared to the 101.6 record of the Celtics while for average points allowed, the Cavaliers have a 98.8 record compared to the 102.7 of the Boston side. Kyrie Irving may return for the Cavaliers while Kelly Olynyk is a doubt for the Celtics. Taking the Cavaliers at -12, at odds of 1.90, is likely to be a sound bet for this game. Bet Now! The Hornets have been much improved since snapping up Mo Williams, who has managed to transform the team, adding a lot of what was lost in the absence of Kemba Walker. Given that the Hornets will be taking on a team with one of the poorest defences in the league, they will be keen to hone their attacking qualities. The Lakers carry a 16-42 record into this game and this includes a 7-22 record away from home. The Lakers were downed by the Thunder 101-108 on Sunday and they hold a 3-7 record in their 10 most recent games. The Hornets have a 24-33 record this season which includes a 13-16 record at home. They won their most recent game, a 93-98 win in Orlando on Sunday and they have a 4-6 record in their 10 most recent games. Nick Young is a doubt for the Lakers while Bismack Biyombo, PJ Hairston and Kemba Walker are all doubts for the Hornets. Taking the Hornets at -8, at odds of 1.90, is likely to be a safe bet. Bet Now! The Nuggets haven’t grabbed a win since the All-Stars break and this run started with a loss in Milwaukee but there is a chance of redemption in this game. Both teams are struggling at the moment, and this could be a turning point for the team that manages to grab a win. The Bucks have a 32-27 record so far this season and this includes a 15-16 record on the road. The Bucks have lost their two most recent games, including a 82-75 loss in Utah on Saturday night. The Bucks hold a 5-5 record in their last 10 games. The Nuggets hold a 20-39 record so far this season which includes a 12-18 record at home. The Nuggets have lost 6 in a row, they have a 1-9 record in their last 10 and they loss at home to Pelicans on Sunday by a score of 92-99. Both teams have a few players being monitored closely with OJ Mayo and Jared Dudley being watched over by the Bucks and Wilson Chandler, Kenneth Faried, Jusuf Nurkic and Darrel Arthur being monitored daily by the Nuggets. Taking the Bucks with a -5.5 handicap, and odds of 1.90 is likely to be a sensible bet for a Tuesday. Bet Now!